The evolution of digital has revolutionized B2B marketing, allowing businesses to become even more targeted in their approach to attract new customers. Inbound channels offer many ways in which you can target and reach your potential customers, and with more and more businesses committing to digital, it’s time to get clever in your targeting. So, what about targeting your competitor’s customers? Key paid channels, such as LinkedIn, Twitter and the Google Display Network (GDN) are ideal for targeting your competitor’s customers. 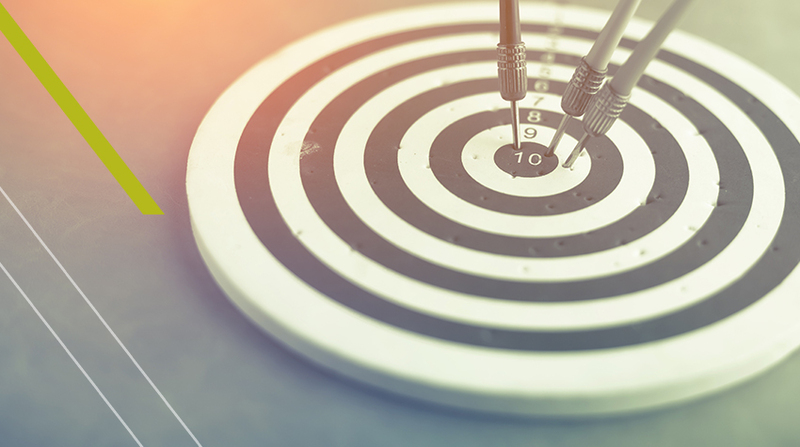 Their targeting methods make them excellent for B2B marketing! LinkedIn offer many targeting functionalities, some of which are extremely useful when you know exactly who you want to target. In the past, deploying an Account-Based Marketing approach has been a successful tactic, especially when account lists are refined further to ensure that you target the right people in those organizations. In LinkedIn, layering ABM with criteria such as location, job function and seniorities ensures that your ads are put directly in front of the right people. Taking competitive targeting one step further, another feature new to LinkedIn’s targeting portfolio is 1st degree connection targeting. As the name suggests, this allows you to target the 1st-degree connections of employees who work for a selected organization, as long as they have over 500 employees. This is an excellent tool to put your ads in front of the connections of your key competitor’s employees. By delivering direct sponsored content ads to your audience, you can increase your brand awareness in front of your competitor’s audience, as well as adding value by providing downloadable content. Lead Generation Forms, another feature recently launched by LinkedIn, allow mobile users to fill out forms in platform, offering a seamless user experience whilst allowing for data capture. Using Twitter ads, it is possible to target users who are tweeting using keywords that are specific to competitors. As well as this, targeting competitor twitter handles allows you to reach users with interests similar to the followers of these accounts. Once again, layering this method with geographical and language targeting helps to refine targeting approaches further. As with all paid marketing efforts, it’s ideal to drive substantial traffic through to gated pages to achieve lead generation. Applying contextual targeting to display campaigns matches ads, targeted by keywords, to sites within the Google Display Network. Generating keywords specific to your competitor will enable your ads to display to an audience with an established interest in the targeting that you have applied.